Was George Eliot a feminist? It depends on how you define that vexed term, but on a pretty standard definition (an advocate for equal rights for women), she both was and wasn’t! Her novels frequently highlight the stifling limitations placed on women’s lives in the 19th century. One of the most memorable examples (and the most autobiographical) is her account of Maggie Tulliver’s turbulent childhood in The Mill on the Floss, but characters including Esther Lyon in Felix Holt, Dorothea Brooke in Middlemarch, and Gwendolen Harleth in Daniel Deronda also suffer in their own ways from women’s social, economic, and intellectual disempowerment. What you won’t find in Eliot’s novels, however, or in her essays and reviews, are assertions of women’s equality in the abstract, or demands for specific political reforms, including suffrage. The term “feminist” is something of an anachronism in the Victorian context anyway: according to the Oxford English Dictionary it does not come into regular use in its current meaning until late in the 19th century. 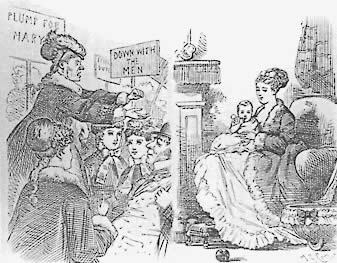 What the Victorians talked about was the “woman question,” and by this they meant a broad discussion not just about women’s political rights but about their social and economic roles, particularly in marriage (which was, after all, the primary “occupation” for women at this time). This debate often turned on ideas about women’s nature. The most common view was that men and women are complementary: while men are strong, women are soft; men are rational, while women are emotional; men are worldly, while women are spiritual; men are driven by strong sexual impulses to which women (once married) patiently submit — but women do not feel or display physical desire. Of course, the realities belied these generalizations (and the literature of the day challenged as much as it replicated them), but they still represented norms and set expectations, chief among them that women belonged in the domestic sphere while men dominated public life. Men had all the direct power, while women, in theory at least, had influence. 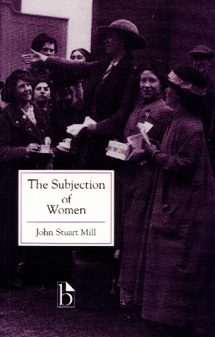 Debates about the “woman question” included a diverse range of voices, from those arguing against the view that women are weak and irrational to those arguing that women’s natural spirituality and tenderness entitled them to better protection under the law or more influence in the public sphere. Concerted efforts were made to get the vote for women, not necessarily on principle (it’s worth remembering that in the mid-19th century there wasn’t universal male suffrage either) but because many women’s rights activists understood that without representation, women would have a harder time winning important legislative battles. Key legislation eventually enacted that helped improve women’s rights and protections include the Divorce and Matrimonial Causes Act (1857) and the Married Women’s Property Acts (1870, 1882). On gender issues, as in politics more generally, George Eliot could be called a “progressive conservative”: though hardly content with the status quo, she did not believe sudden or top-down change could be effective, and so she supported efforts to transform individuals and thus enable gradual, organic change. She believed in education as the foundation of all real and lasting reform, and in fact nearly the only “women’s” cause she supported directly was the founding of Girton College, Cambridge. and then that which is peculiar in her mental modification, instead of being, as it is now, a source of discord and repulsion between the sexes, will be found to be a necessary complement to the truth and beauty of life. Then we shall have that marriage of minds which alone can blend all the hues of thought and feeling in one lovely rainbow of promise for the harvest of human happiness. Eliot’s treatment of women and the ‘woman question’ in her novels has been the subject of many, many essays and books. Kate Flint’s chapter “George Eliot and Gender” in the Cambridge Companion to George Eliot is an excellent place to start; touchstone essays include Zelda Austen’s “Why Feminist Critics Are Angry with George Eliot” (College English 1976), Lee Edwards’s “Women, Energy, and Middlemarch” (Massachusetts Review 1972, reprinted in the Norton Critical edition), Elaine Showalter’s “The Greening of Sister George” (19th-Century Literature 1980). For a broader perspective on women and writing in the Victorian period, I recommend Dorothy Mermin’s Godiva’s Ride: Women of Letters in England 1830-1880. When was this published? Could you tell me the date? If you mean the novel, it was published serially 1871-2. If you mean this website, it went ‘live’ in 2013. Thanks for visiting!